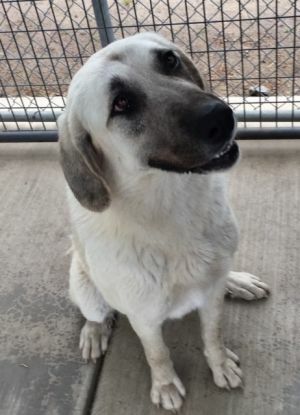 Duchess, a regal and striking 3 year old Anatolian Shepherd, is a gentle sweet heart. Bred to guard livestock, Anatolian Shepherds are known to have an independent nature, able to rely on themselves. Duchess has a very calm temperament, likes to be petted, and sits politely for a treat. She does not like to be leashed for a walk but would rather just hang out with you. This lovely lady will become available for adoption on April 24 if an owner does not claim before that date. Shelter ID A028173. For more information on shelter pets please call the Oakdale Animal Shelter at 209-847-5625. Adoption fees for female dogs is $125, and for male dogs is $95. This fee includes the spay/neuter, current vaccinations, and a microchip. At just 4 months old, Quinn is finding the shelter a scary place. With plenty of patience and TLC, he is gaining confidence and is ready to enjoy the company of volunteers, wagging his tail and taking treats. Quinn will make a very nice companion pet. He will become available for adoption on April 25 if an owner does not claim before that date. Shelter ID A028186. CONSIDER THE ADOPTION OF A PUPPY CAREFULLY. Do not adopt a puppy just because they are cute. Puppies take a serious commitment of time for training and of money for proper health care, much more than an adult dog. Be prepared to make an investment in your puppy to be sure they become a canine good citizen adult. Adoption cost is $125 for female dogs or $95 for male dogs. Adoption fee includes cost of spay/neuter, vaccinations, and microchip. For more information about shelter pets, please call the Oakdale Animal Shelter at 209-847-5625. Sugar Baby was found trying to make a life for herself at the local Home Depot and at just 3 months old, that was a pretty scary experience. Sugar Baby is as sweet as her name, a very loving and gentle kitten, with beautiful markings and lovely aquamarine eyes. 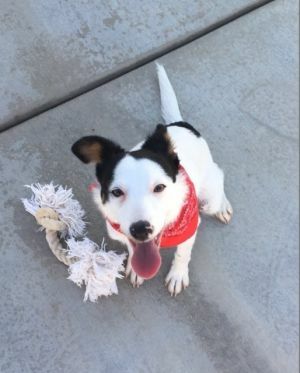 Sugar Baby is eager to find a wonderful forever home of her own! She will become available for adoption on April 23. Adoption fee is $55 for male cats and $65 for female cats. Adoption fee includes cost of spay/neuter, feline leukemia testing, microchip, rabies vaccination and the first FRPC vaccination.. For more information about shelter pets please call the Oakdale Animal Shelter at 209-847-5625. 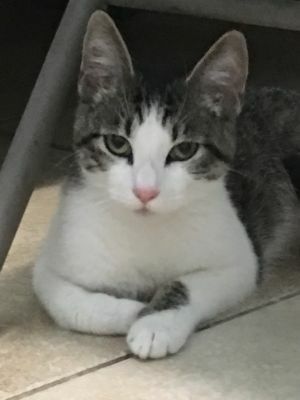 If a calm, very mellow kitty is your style, you will want to meet Lilth! The very presence of this beautiful and gentle girl is enough to soothe your soul. Come spend some time with Lilth and renew your spirit! Lilth is about 3 years old. She becomes available for adoption on April 22. Shelter ID A028131. Adoption fee is $55 for male cats and $65 for female cats. Adoption fee includes cost of spay/neuter, feline leukemia testing, microchip, rabies vaccination and the first FRPC vaccination.. For more information about shelter pets please call the Oakdale Animal Shelter at 209-847-5625. Sierra is named for the distinct white peak framing her beautiful face. She was taken in by a Good Samaritan who learned Sierra was pregnant and had 3 kittens! The kittens are being fostered until they are old enough to be adopted, approx mid-May. Sierra is a friendly, gentle young cat of 8 months old. 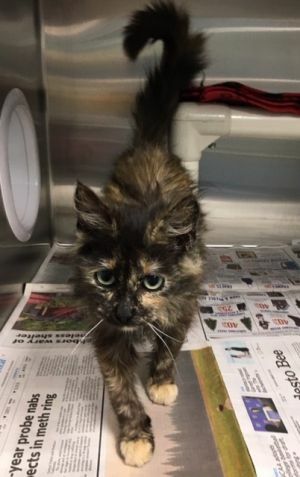 She is quick to warm up to you and will purr and rub for lots of TLC. She is available for adoption now! Shelter ID A028161. Adoption fee is $55 for male cats and $65 for female cats. Adoption fee includes cost of spay/neuter, feline leukemia testing, microchip, rabies vaccination and the first FRPC vaccination.. For more information about shelter pets please call the Oakdale Animal Shelter at 209-847-5625. 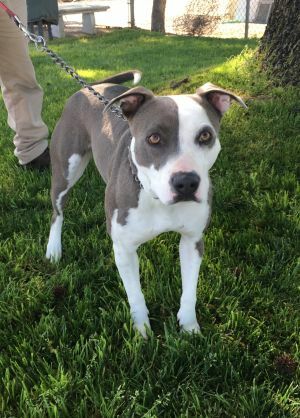 Cali is a sweet young 2 year old girl with beautiful gray and white markings. She loves long walks on the leash and lots of TLC. Cali is available for adoption now! Shelter ID A028138 For more information on shelter pets please call the Oakdale Animal Shelter at 209-847-5625. Adoption fees for female dogs is $125, and for male dogs is $95. This fee includes the spay/neuter, current vaccinations, and a microchip. Scuttles has warmed up to our volunteers after coming into the shelter a scared little guy. He is still a bit shy and needs a gentle, calm introduction to new people, places and things. 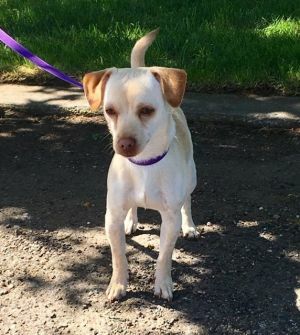 Scuttles is a young 1 yr old male chihuahua? mixed breed. He is fully grown and weighs approx 7 lbs. He will make a wonderful companion and does well with his puppy friend Ariel, also available for adoption now! Come down and meet Scuttle today! Shelter ID A028128 For more information on shelter pets please call the Oakdale Animal Shelter at 209-847-5625. Adoption fees for female dogs is $125, and for male dogs is $95. This fee includes the spay/neuter, current vaccinations, and a microchip.